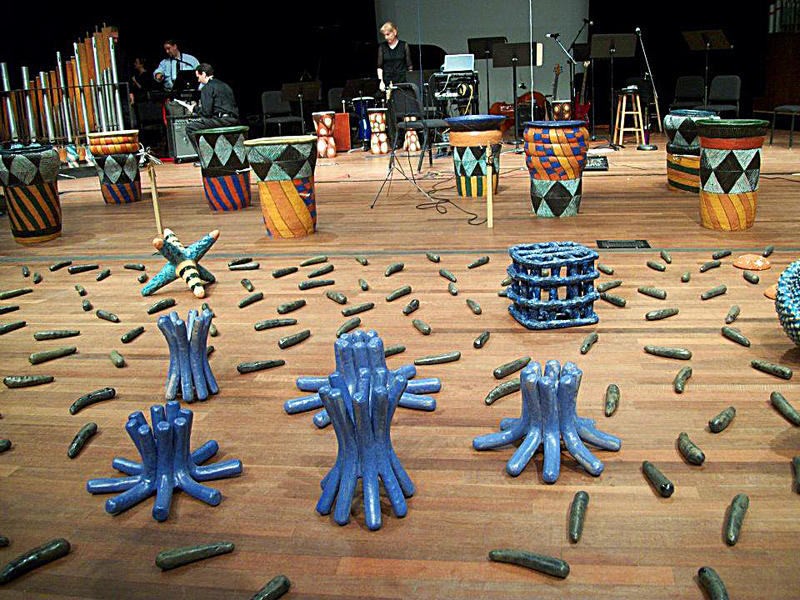 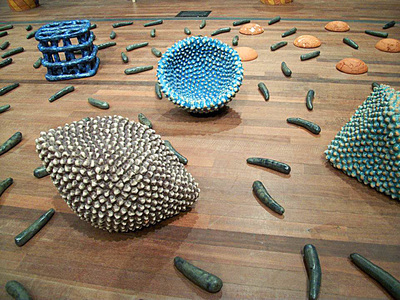 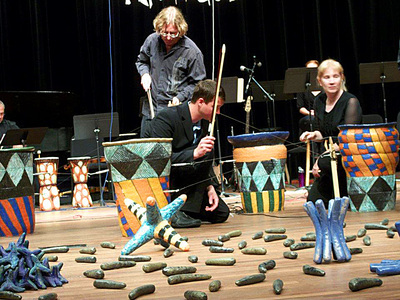 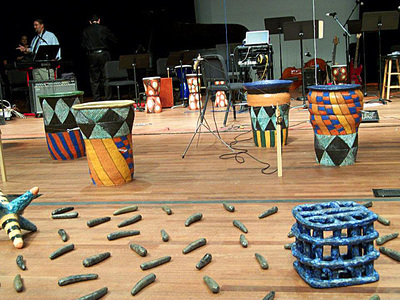 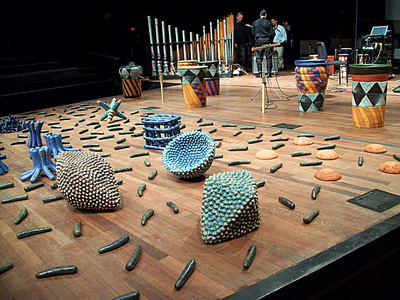 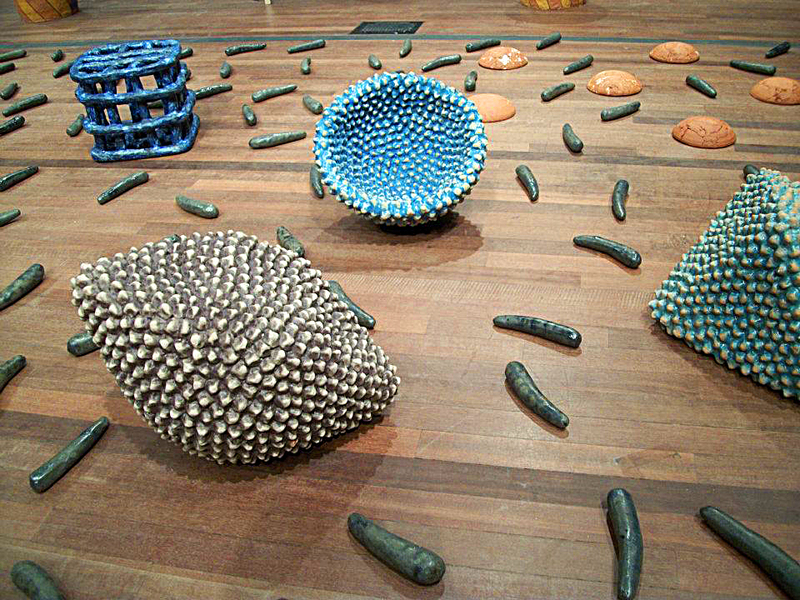 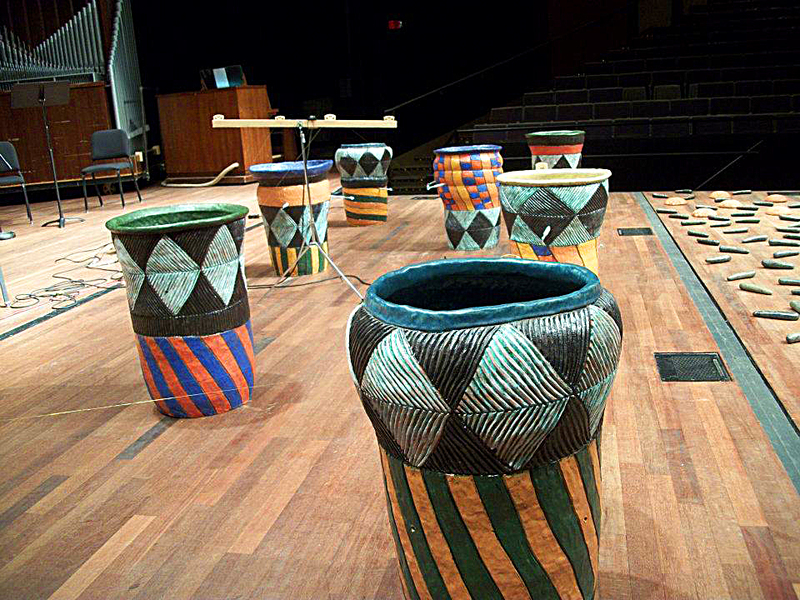 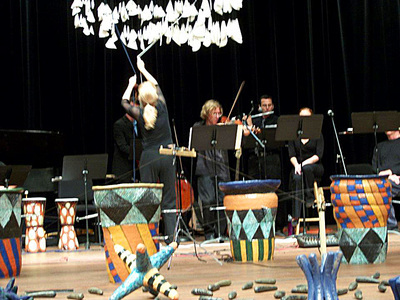 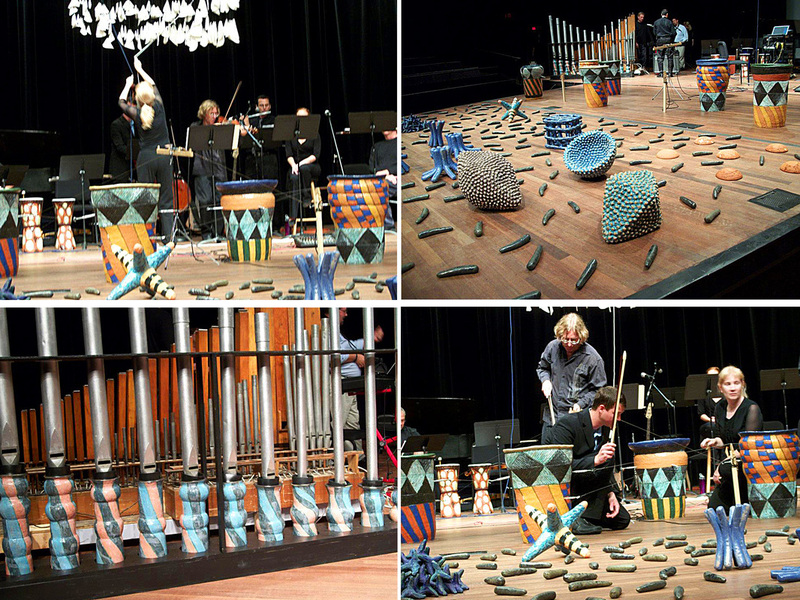 In 2011, Hums & Oms was presented as a special performance project at the Westobou Arts Festival in Augusta, GA. Hums & Oms: The Performance, though influenced by an earlier installation called Hums & Oms by Priscilla Hollingsworth, was a new collaboration between Priscilla Hollingsworth and Carf Purdy. 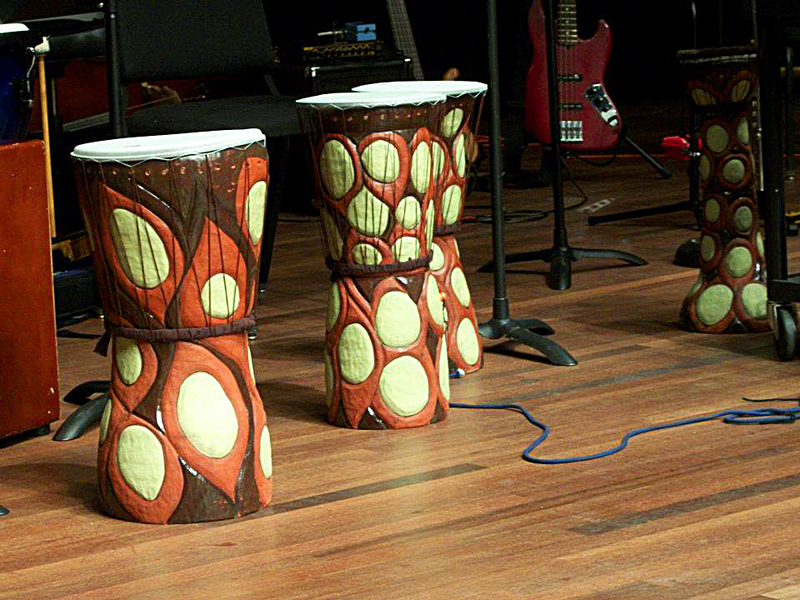 The performance was sponsored by the Georgia Regents University Music Department and was held at the Maxwell Performing Arts Theater. 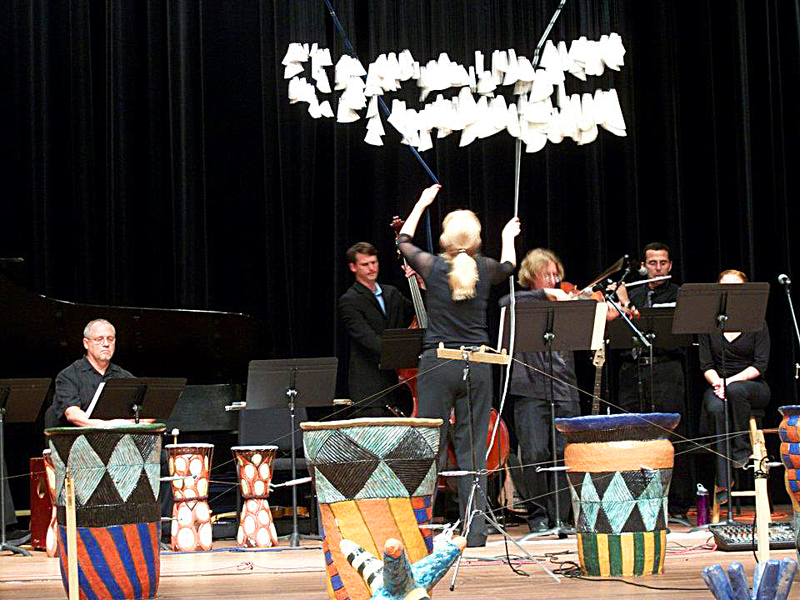 The project received a special grant award from the Porter Fleming Foundation. 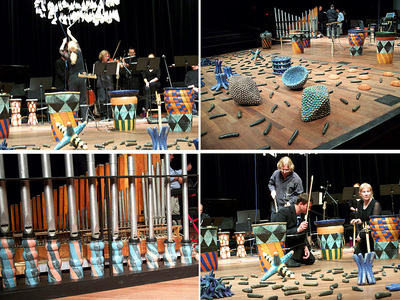 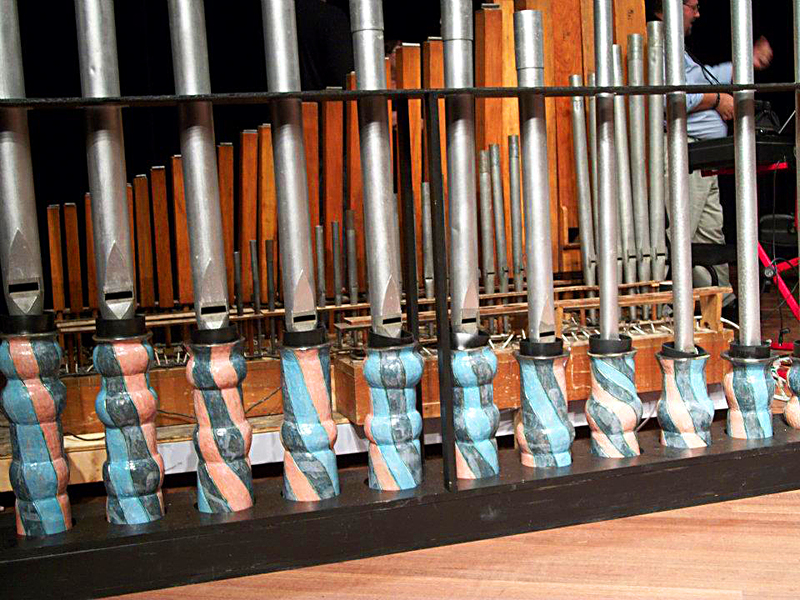 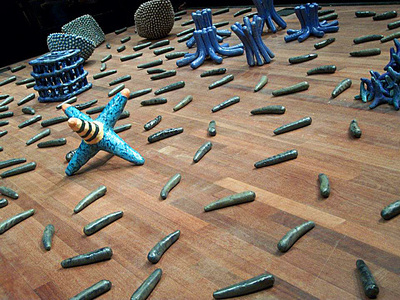 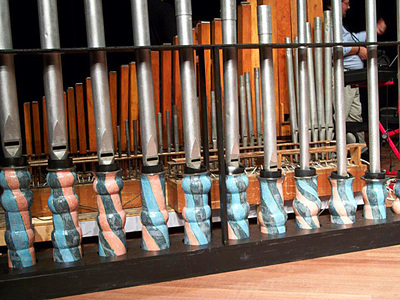 Using sculpture made by Hollingsworth and a musical score written by Purdy, the project was an interwoven collaboration in which Hollingsworth and Purdy made sculptures into musical instruments, and Purdy and Hollingsworth both performed the music, along with additional musicians (Rob Foster, Travis Shaw, Elizabeth Grant, Larry Millen, Don Cleary).